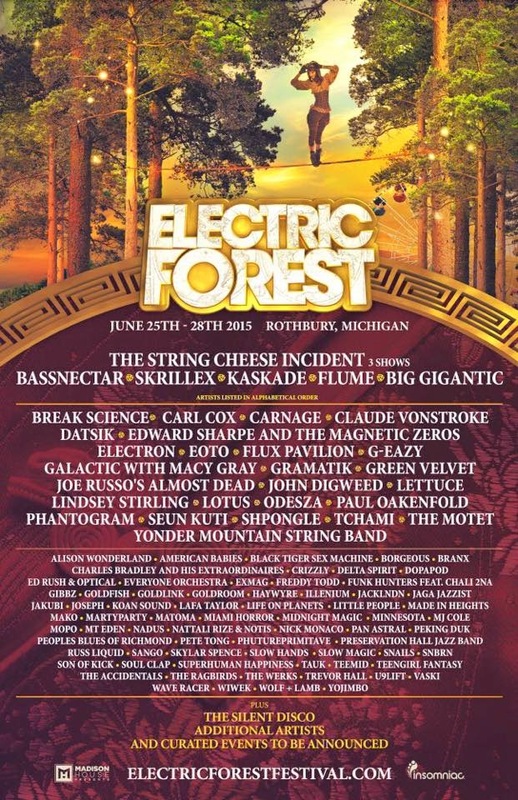 Electric Forest Releases Their Massive 2015 Lineup! Electric Forest returns to Rothbury, Michigan with one of the biggest festival lineups out thus far. After months of teasing, Electric Forest provided a link to a locked website where you'd have to guess the password. Of course no body guessed it, but hours later they revealed to us their jaw dropping 4 day adventure. Tickets are still available for purchase and they're going fast! Head over to ElectricForestFestival.com for more info and ticket rates.